Asynchronous computer operation is the key to the most efficient computation. 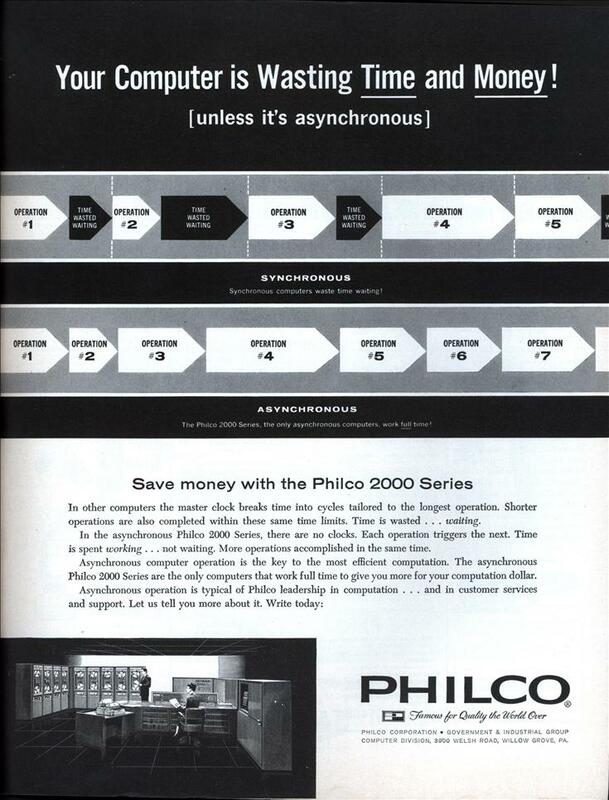 The asynchronous Philco 2000 Series are the only computers that work full time to give you more for your computation dollar. PHILCO CORPORATION • GOVERNMENT & INDUSTRIAL GROUP COMPUTER DIVISION, 3900 WELSH ROAD, WILLOW GROVE, PA.